The newly unveiled OnePlus 6T is one of the most powerful flagships right now. 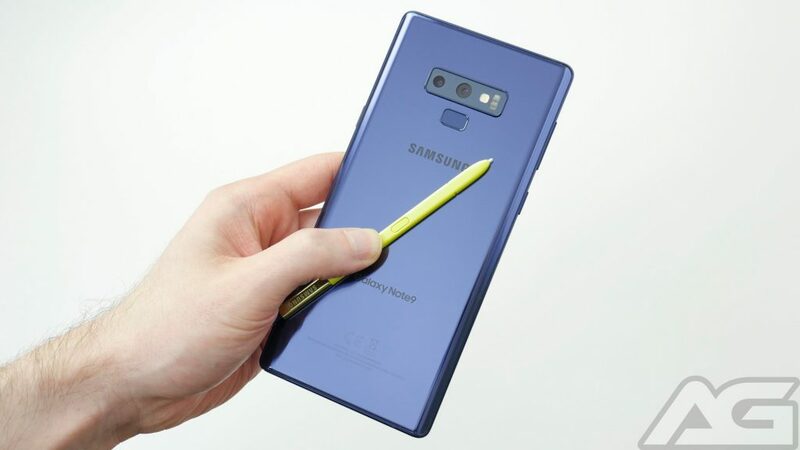 But if you’re on the market for a new Android phone then you’ve probably already checked out the Samsung Galaxy Note 9. Indeed, Samsung’s latest flagship is a really great device, but it’s so very expensive compared to the OnePlus. So which device is the way to go? 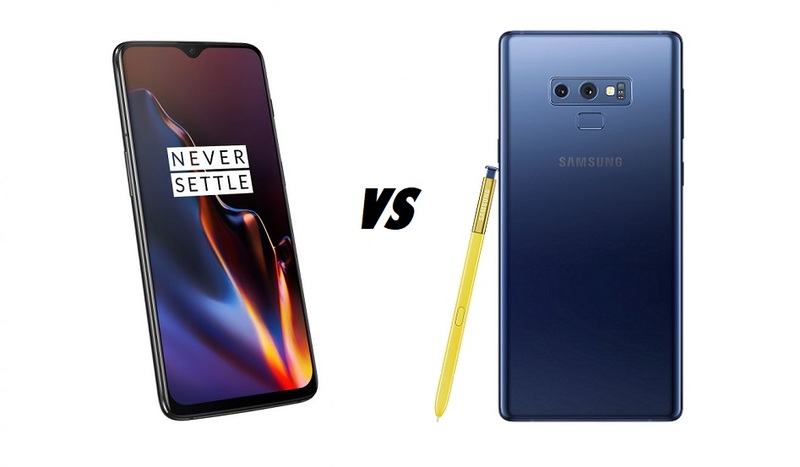 In this article, we pit the OnePlus 6T against the Samsung Galaxy Note 9 in an attempt to highlight all the major differences. One of the first things any buyers looks at when considering to buy a new phone is the screen size. These days, the majority of people want a big screen, and these phones deliver exactly just that. Although there are a few design aspects that set them apart. The Galaxy Note 9 features a 6.4-inch AMOLED QHD display that looks great. It doesn’t have a notch, so those who prefer the classic look will be very happy. Even so, the phone has the modern bezel-less look with razor-thin bezels all around encasing the huge display. The Note 9 also features accentuated square corners, a characteristic of Samsung’s phablet family. A candy-shaped fingerprint scanner sits on the back of the device, below the horizontally-aligned dual-camera setup. The phone has an 8.8mm profile, but the OnePlus 6T is a bit slimmer at 8.2mm. While the Note 9 keeps its classical look, the OnePlus 6T benefits from the latest trend in notches. The phone’s 6.41-inch AMOLED display has a tiny waterdrop-shaped notch at the top. The screen features FHD+ resolution (1080 x 2340), so it’s lower than the Note 9. 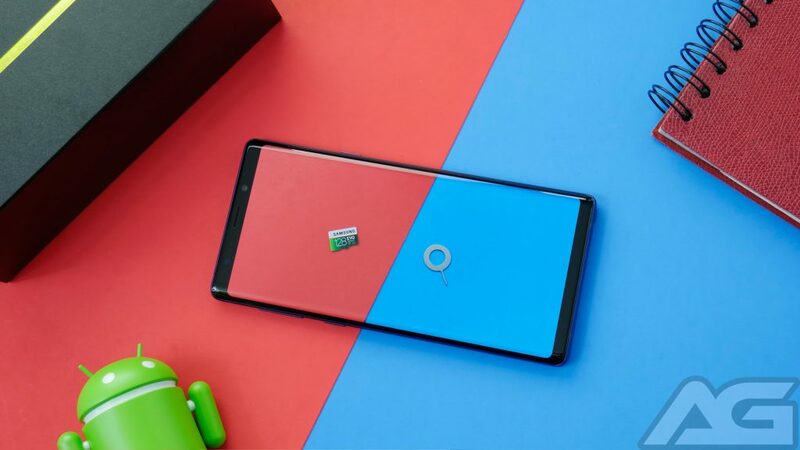 Even so, if you ever used a OnePlus phone you’ll know that’s not really a problem, as the screen is more than capable of displaying vibrant and punchy colors and also has excellent brightness uniformity. Unlike the OnePlus 6, the OnePlus 6T does no longer feature a fingerprint scanner on the back. That’s because the 6T is the first flagship to be made commercially available in the West that comes with an in-display fingerprint sensor. The company calls it “Screen Unlock”. The technology powering it is similar to the one we’ve seen in the Huawei Mate 20 Pro and basically uses light from the display to illuminate the finger as it’s being read. OnePlus says the in-display scanner can unlock the device in as little as a third of a second. Sounds quite impressive. The OnePlus 6T marks another first for the company. Unlike its predecessors, the new flagship has dropped the 3.5mm headphone jack. A controversial change, which might sway some customers towards the Note 9, which retains the headphone jack. What’s more, Samsung’s phablet is also IP68 rated, while the OnePlus 6T is yet to gain official certification in this sense. Both smartphones rely on the best Qualcomm chipset available now: the Snapdragon 845. 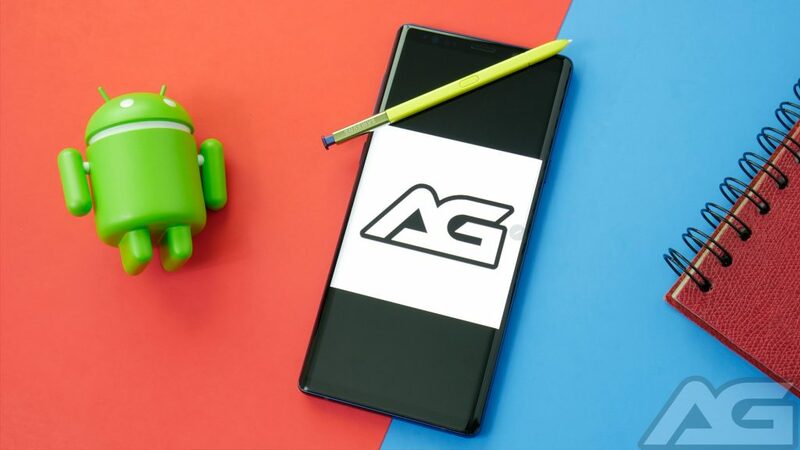 This is the same processor powering other top flagships such as the Pixel 3 or LG G7. The OnePlus 6T does not offer microSD card slot, so you’ll be stuck with the configuration you choose to buy. As for the Galaxy Note 9, it’s available with 6GB/8GB of RAM and either 128GB or 512GB of storage. In the case of the Samsung flagship, there’s a microSD card slot which allows for memory expansion up to 512GB. Up next, we’re going to look at the battery. The Galaxy Note 9 benefits from one of the largest batteries even seen in a Samsung flagship. It’s of 4,000 mAh variety and should provide a satisfactory battery life. The phone also has support for wireless charging and fast battery charging. 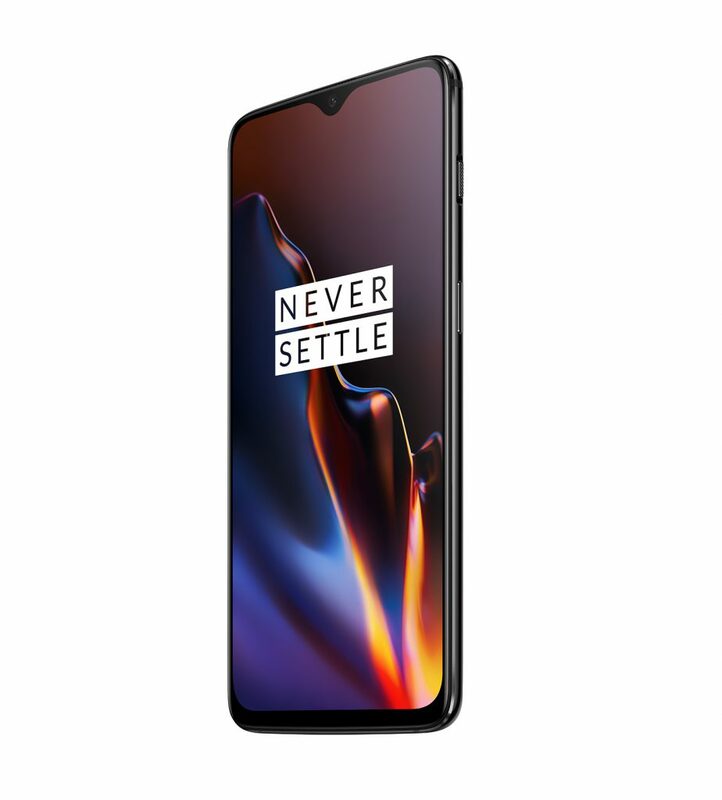 As for the OnePlus 6T, it includes a larger 3,700 mAh battery, compared to the 3,300 mAh unit of its predecessor. This is expected to result in a 23% increase in battery life. Unfortunately, wireless charging is still not in the cards. However, you get the company’s rebranded Fast Charge (from Dash Charge) tech, which will juice up your phone in no time. The Samsung Galaxy Note 9 has one of the most impressive cameras around. The phone has the all-new variable aperture camera introduced with the S9. This means the aperture can change from f/1.5 to f/2.4 depending on lighting conditions. Just like the human eye adapts in different environments, so does the Galaxy Note 9’s camera. Samsung pairs two 12MP sensors on the back, which is the same setup we find on the Galaxy S9 Plus. The first one has PDAF and OIS, while the second telephoto one, offers OIS and 2x optical zoom. So the Galaxy Note 9 should be able to deliver some excellent results, photography-wise, similar to what we’ve seen on the S9 Plus. Another major highlight is the camera’s ability to shoot super slow-mo video at 960 fps. The front camera is an 8MP selfie snapper with autofocus. 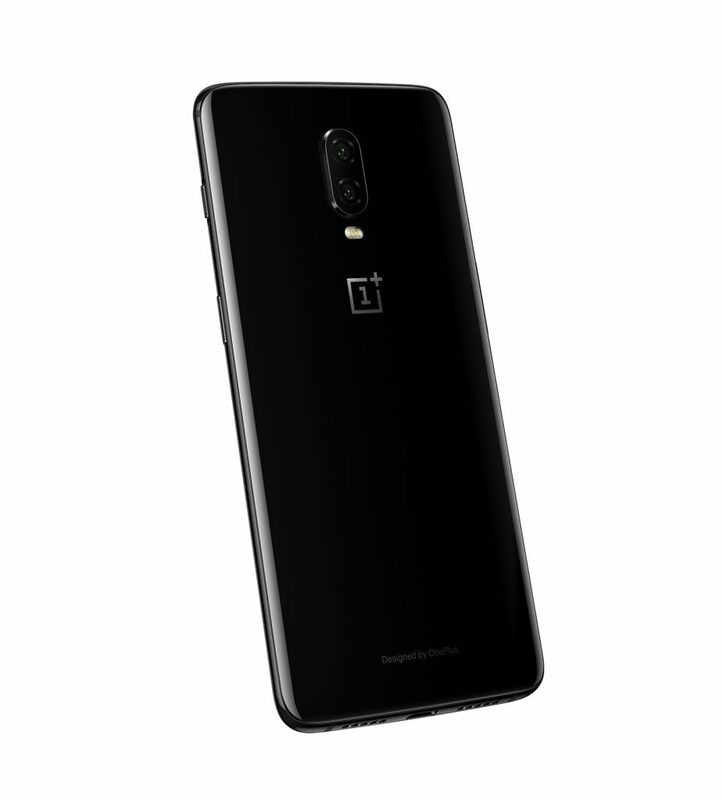 In the case of the OnePlus 6T, the main camera is quite similar to the OnePlus 6’s with a few new additions. We still have a 16MP (f/1.7) + 20MP (f/1.7) couple with OIS and EIS for stabilizing shots. But on the new model, OnePlus offers a new Nightscape feature, which is basically an enhanced HDR night mode which combines info from several shots to enhance details and reduce noise and motion blur. There’s also a new Studio Lighting options which helps with enhancing portrait shots. The OnePlus 6T ships with the latest version of Android and that’s Android 9 Pie. 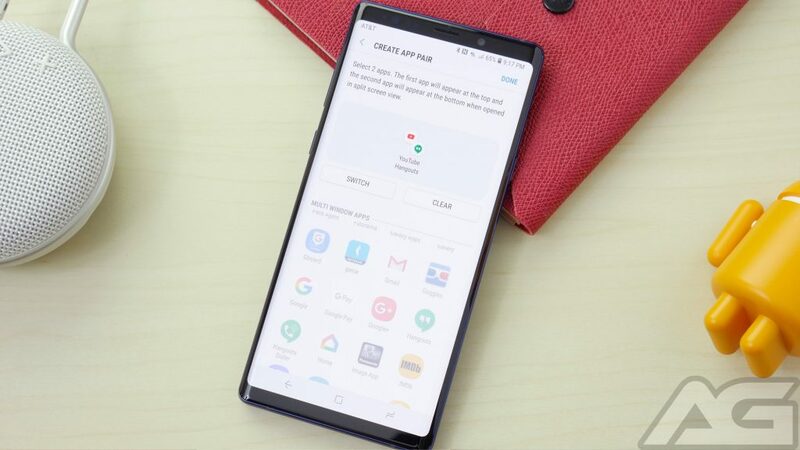 Obviously, the company’s own OxygenOS custom user interface is laid on top of that to provide a smooth and clean experience. The new OS version includes refined gesture navigation and other useful features like Gaming Mode, Reading mode and a built-in dark theme. As for the Galaxy Note 9, it runs Android 8.1 Oreo out of the box with Samsung Experience 9.5 on top. While Samsung’s UX has been gradually getting better over the year, it still pales in comparison to OxygenOS. 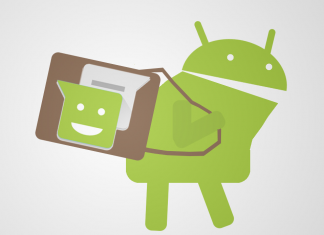 Samsung is yet to offer the Android 9 Pie update for the phone, although Samsung Experience 10 based on Pie did leak a while ago, so the company is working on it. On top of what we already mentioned, the Galaxy Note 9 comes with a bunch of extra features including S Pen and DeX desktop experience support. The phone also offers the services of Samsung’s own virtual assistant, Bixby which has been improved compared to its original iteration. Stereo speakers are also part of the package. The OnePlus 6T doesn’t have all of that, but you can activate the Google Assistant on it if you so desire. The OnePlus 6T will go on sale here in the US starting on November 3 for $549 and up. 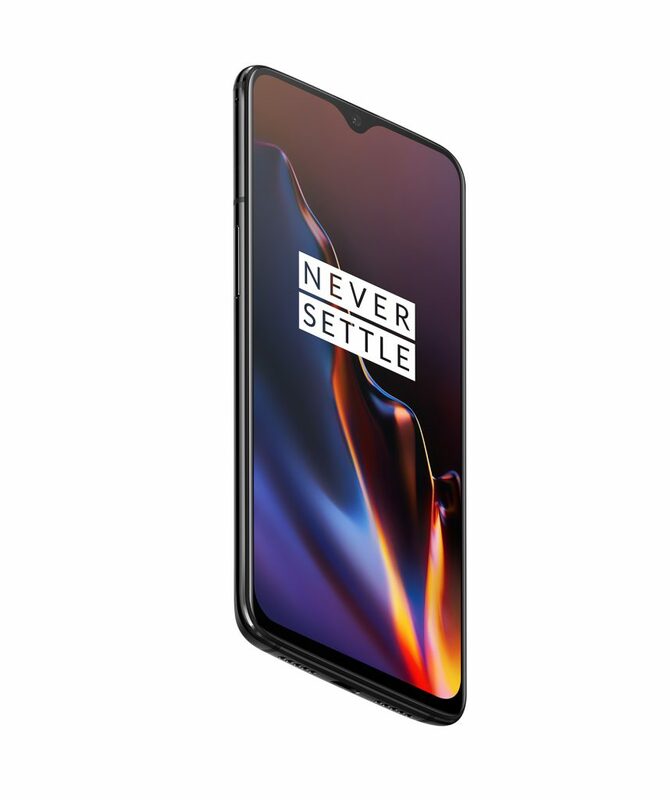 OnePlus will be selling the unlocked model (compatible with AT&T, T-Mobile and Verizon networks) right from its official store. But this year, the OnePlus 6T will also be offered at T-Mobile. You’ll be able to grab the 8GB of RAM + 128GB of storage model from the carrier’s stores starting on November 1. T-Mobile also lets you trade in an eligible phone, so you can get $300 off in monthly bill credits when you buy the OnePlus 6T. Or you can get the device for $24.17/month for 24 months. 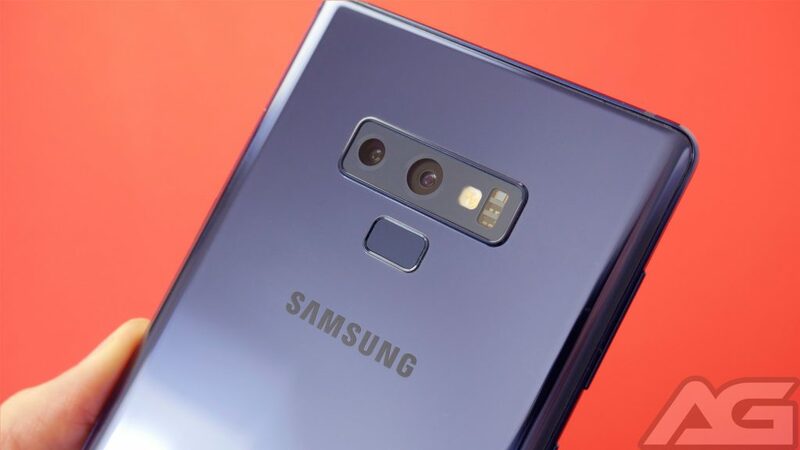 As for the Galaxy Note 9, the phone is widely available in the US from all major carriers, as well as from the company official store. Unlocked the Note 9 starts at $999.99 which is a lot more expensive than the OnePlus 6T. While the Galaxy Note 9 does have a better display, camera and overall more features, it doesn’t necessarily mean it’s a must-have. Not at this price anyway. 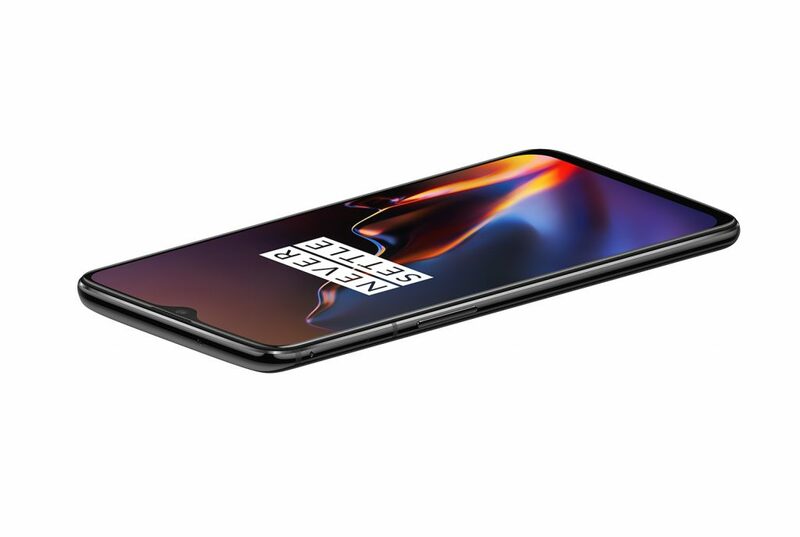 For those who like the idea of getting a flagship-specced phone, the OnePlus 6T is more than enough. Especially since it has a feature that the Galaxy Note 9 does not and that’s the in-display fingerprint scanner. The OnePlus 6T is fast, boasts new technology and also has a big battery and a much lower price, so overall it’s a great choice. But if photography is super important for you, or you’re interested in stuff like the S Pen, then the Galaxy Note 9 is the way to go.